It's hard to be a content curator when there is so much to wade through. Most of the posts are not worth the curator's time to click in and see a post with no effort. 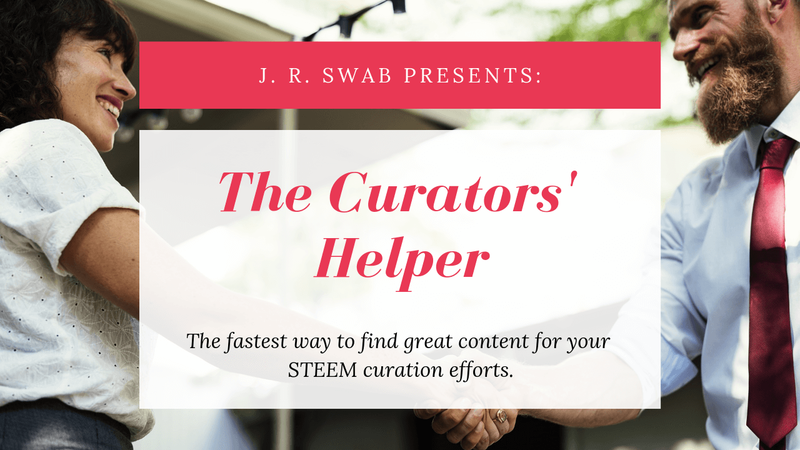 This small script aims to give the curator a list of posts with substantial effort. I chose to start this project out of my own need. Now that I am developing @nebulus streaming to dlive daily, and still need a full-time job, wading through a mountain of steem posts was taking more and more of a back seat. That said, I did not want to give up my role in MSP as the Technology and Science curator, so the idea came to me, "why not only look at posts over a certain word count?" The reason for this is due to my time as a curator. The longer the post is, the more effort the creator put into the post, and the more likely the post is of quality. Search engines like Google and Bing use word count as a metric for ranking, and it turns out to be a very useful metric when curating. As time goes on, I plan to add more features, more parameters, and maybe even add in @themarkymark's blacklist API to further refine the output of the content. As for now, the user has to run the python script via terminal every so often to get fresh content, and this is less than ideal. Bloggers around the web write for the search engines, and longer helps them hit page the front page. So why raise our standards as curators also? If more curators require a thousand or more words in a post, then more people will write to that goal. Leading better thought out content for the Steem blockchain. Python and a small amount of HTML to display output in a user-friendly manner. We use the BEEM implementation of STEEM by @holger80 to access the blockchain. The future releases will include greater use of HTML, CSS, and PHP to make the app more user-friendly. The web app version will run on my LAMP server the currently hosts jrswab.cloud. The best way to contribute is to message me on Discord at jrswab#3134 and let me know you are looking to help out the project and we can chat about what the best approach is going forward. You may also message jrswab on steem.chat but keep in mind that I only check that once per day and often forget.